Amino acids are the building blocks of proteins. 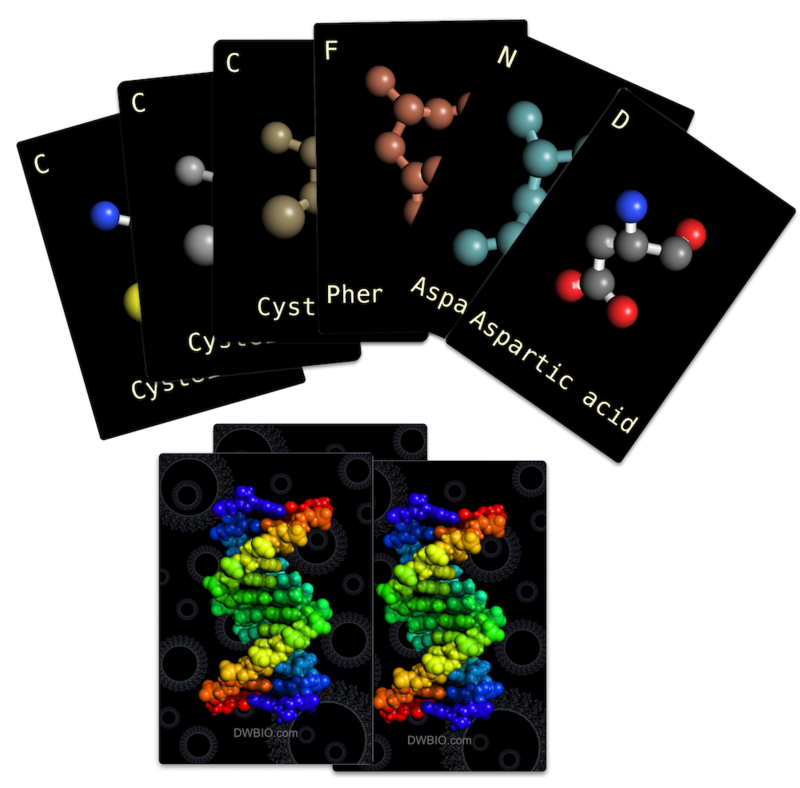 Amino Fish™ cards show the biological properties and structures of these important molecules. If you can read, you can have fun playing Amino Fish. You may even find yourself learning the amino acid alphabet with the names and one letter abbreviations for the twenty common amino acids. The Amino Fish deck contains 60 cards with three suits of 20 amino acids, colored by element, hydrophobicity, or charge. Extra cards with game rules and color keys are included. The amino acids are shown in the ball and stick form found in protein models.